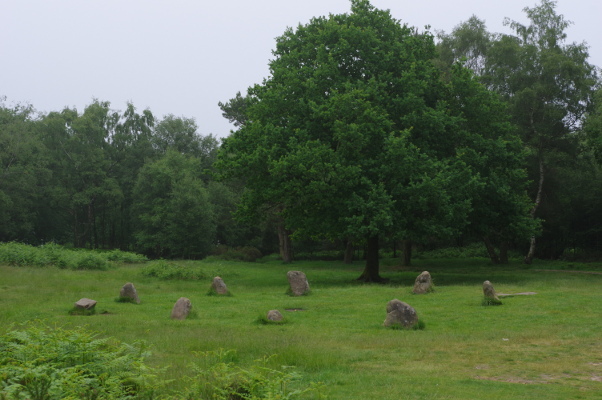 There is a very well known stone circle on Stanton Moor, known as ‘Nine Ladies’. 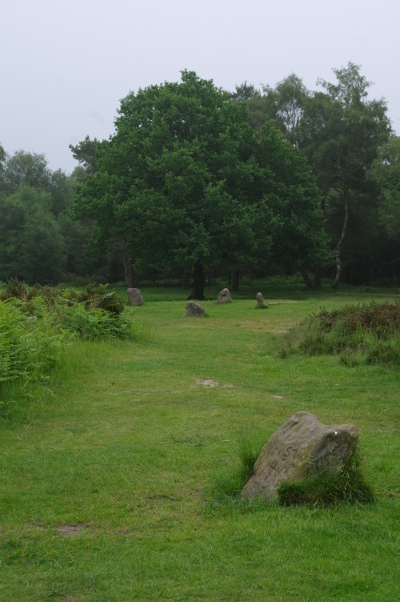 It was one of the first circles to be protected in law as an ancient monument by the Victorians, and is visited by huge numbers of people each year. History has not always been kind to it; it has suffered much abuse over the years, yet it manages to be welcoming to many. 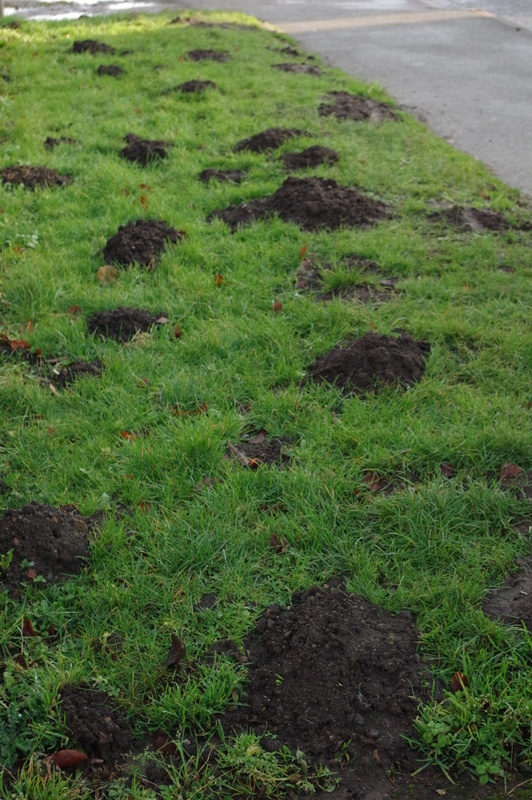 However, within a few hundred yards of it are other circles, now stone-less, that have managed to retain their bank. On one free, cloudy day, I went in search of these. 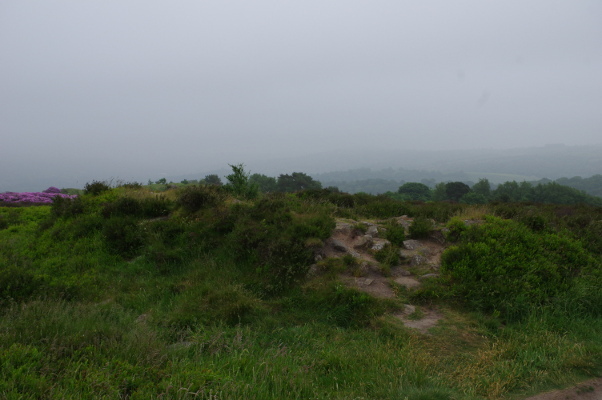 My walk took me past the cork stone, and then left (North) up the ‘central’ path of the moor. The first ‘circle’ I found was just beyond the crossing of the paths, on the right hand side. 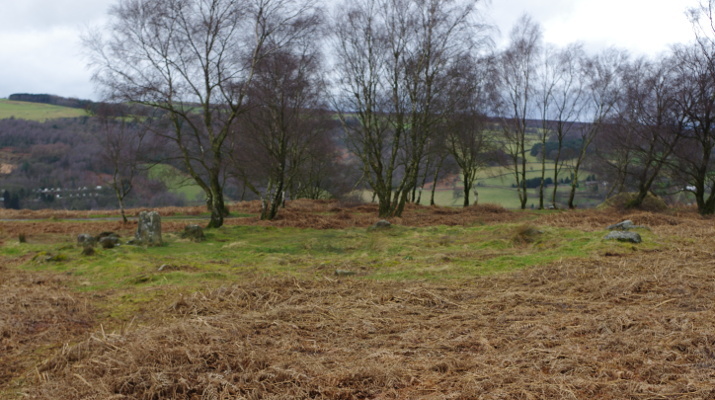 It is marked on Ordnance Survey maps as ‘Cairn’, as it is believed to have been a ring cairn. There is quite a strong, friendly energy field around the side that remains – it had been recently used for some purpose and the remains of a fire could be seen on a rock near the centre. I found the gift of a sheep’s jawbone complete with teeth on the heather in the exact centre. Continuing along this path, on the same side is believed to be the remains of a stone circle. It consists of a raised bank forming a complete circle, slightly larger than the ring cairn, marked on the map as ‘enclosure’. There are no rocks present, the energy field is very low, and there was little to recommend it on this day. Trying to make some notes, I realised I had dropped by pen somewhere. I had a bit of a look around, but couldn’t find it. Disappointed I sat on a rock and wondered what to do next. Then, realising I was actually quite upset about it, I asked that I may please find my pen, and the other circle. Retracing my steps while counting them, I found my pen easily the second time. By careful counting I also found the middle circle, which had no path leading to it or round it. It was the largest of the circles and had a complete bank around it, with lovely strong, protective energy within. Trees grew just outside the banks adding to the sense of being in another world and time. It felt really quite special, hidden as it was, with a focus on peace and completeness. 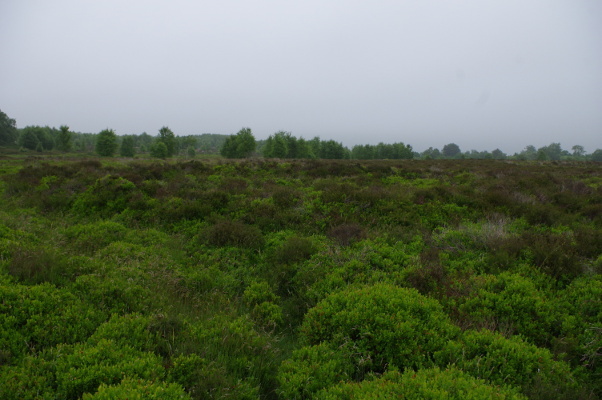 Central Circle, Stanton Moor, taken while sitting inside the circle. There is a strong sense of enclosure from this level, with birch trees all around the outside of the circle but not encroaching upon it. 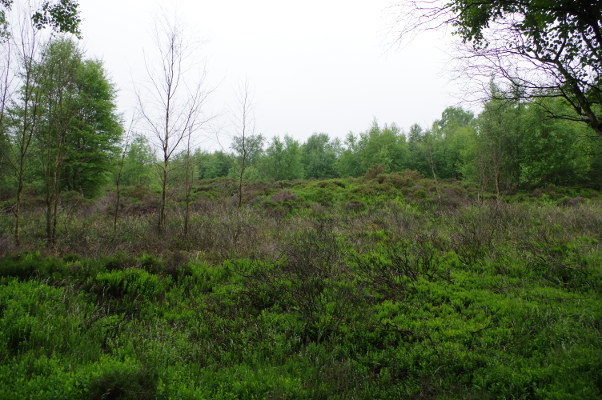 Finally I made several attempts to find the ‘Northern’ circle, although I knew it to be badly damaged and overgrown. 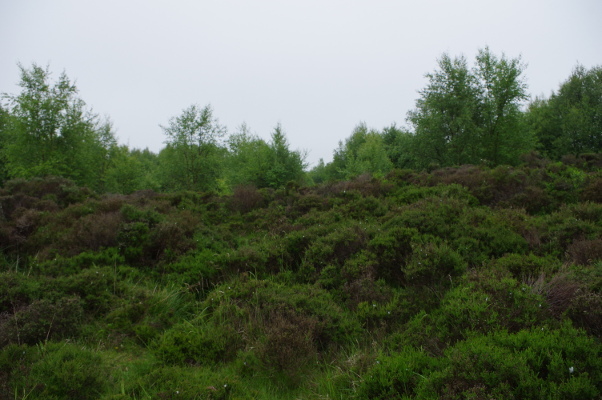 The bracken was up to my chest, the ground covered with brambles, rocks and ruts from vehicle tracks long overgrown. I tripped and found myself sitting in a jungle. While I am fairly sure I was in the right place, and could get a sense of it energy-wise, trees grew on and in the circle and it was not possible to see or photograph anything meaningful. Instead I turned around and walking back to the path a different way, found the wonderful Oak tree I wrote about last week. I had already learned what I needed to from the land, and was being shown something else. 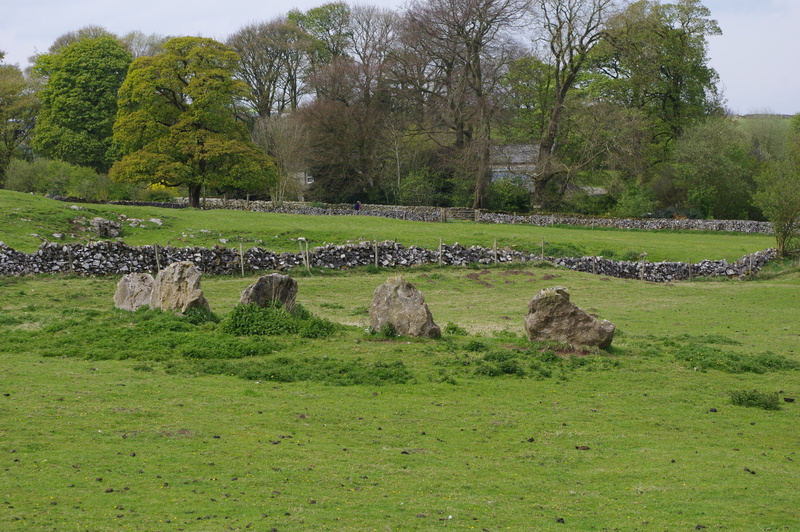 The circles were used at different times, with some of the stones being moved from the previous circle to the new one. The energy flowing through the Earth at this point is not stable but twists and turns like a serpent; the prime spot moved over time or possibly over the year with the seasons and with the rainfall. 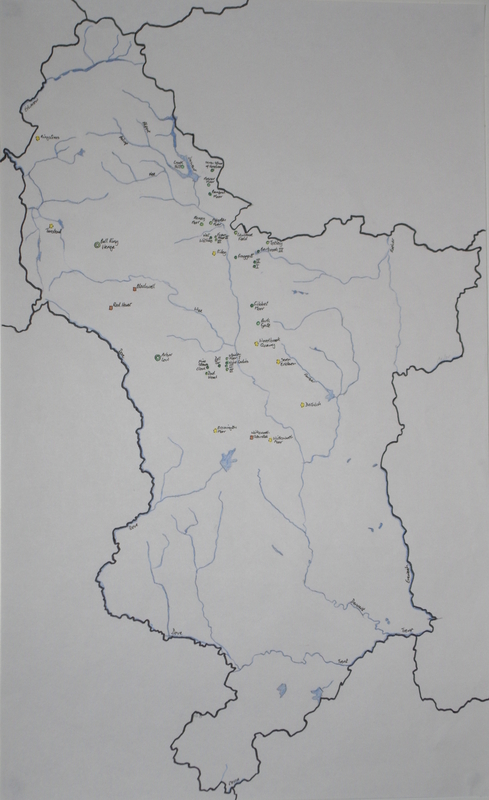 There was tribal conflict in this area, and different chiefs gave their influence through the circles and cairns where their remains were interred. Whether there is any truth in these impressions I have no way of proving. 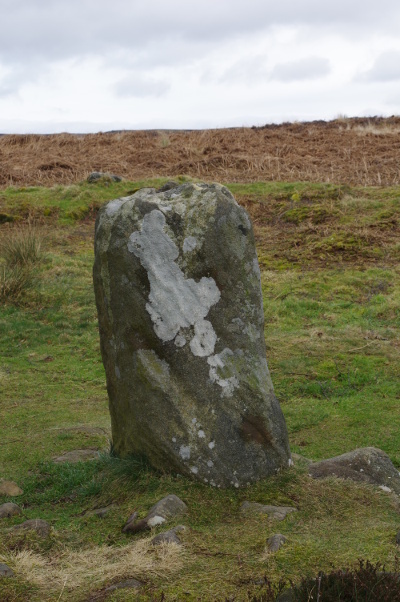 What is known is that the King’s Stone is exactly on a line between the Nine Ladies circle, the Andle Stone, and Doll Tor the other side of the Andle Stone, which probably marks Imbolc / Samhain sunset if there were fewer trees. This may help explain why this energy link is so strong. The other three circles line up along a SSW / NNE line, Nine Ladies being just off this line. They are of slightly different character and may have been done at a different time, by a tribe with a slightly different set of practices. 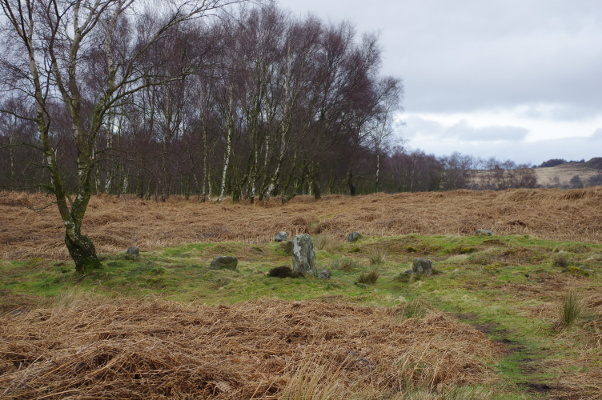 There are around 70 burial mounds on Stanton Moor, which covers an area only about a mile long and half this wide. Most have been found to contain cremations from the mid-Bronze Age, some several, and a bronze knife was found in one. 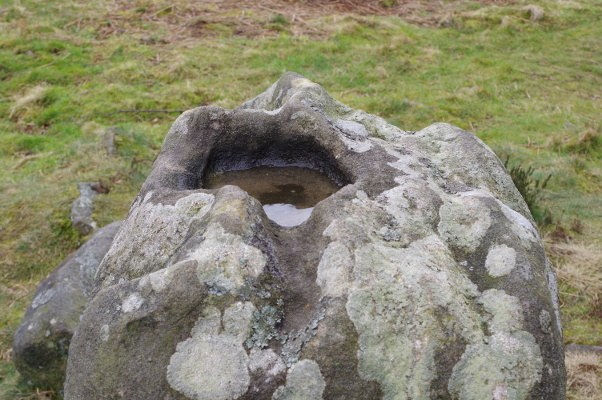 The Cork Stone is also recorded as having had four sanding stones around it pre-quarrying, and a symmetrical pothole usually containing water in the top. 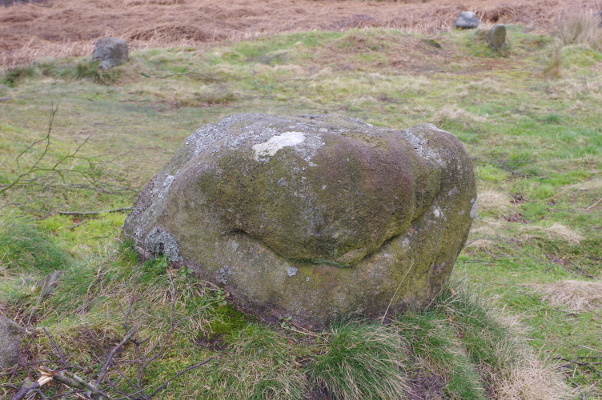 (I haven’t yet climbed up it…) There were also three large stones along the gritstone edge, natural outcrops that would have been seen from some distance. As a witch I cast circles regularly, indoors or out, wherever I chose to connect with Spirit and create ceremony. As a mother however, I sometimes struggle to explain how what I do is equal to those going to a splendid building like a church when I have no equivalent to show or books to read. Yet in the circles can be found an outdoor temple where people of many faiths and none still come to marvel, and frequently, to pray. On a personal level, I would love to know what directions they called in these circles, given that the cardinal points do not appear to be significant in their construction, why the entrances are where they are for each circle and how they used them, and the significance of the egg shape so many have in this area. I can never resist picking up pebbles that catch my eye on a beach. It is a strange thing however, that once removed from the beach the majority loose their charm. I try to find pebbles that represent the place where I am, that capture the beauty of the place. 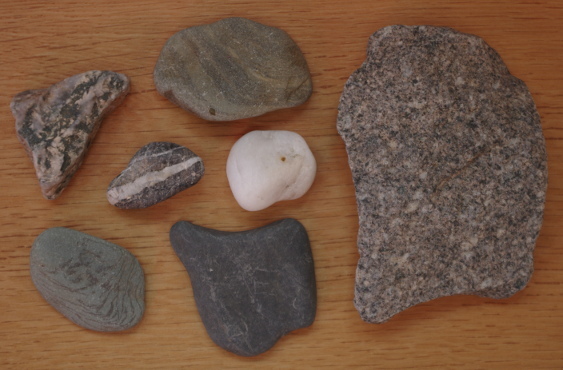 But it is impossible to do this with one pebble, because each pebble is made up of just one type of rock, whereas a beach is normally made up of several kinds of rock, each a different colour and texture. Nature blends them together in a perfect harmonious picture. Instead I look for ‘favourites’. But it is not the individual charm that I then notice, but the extraordinary. The ones that are different in some interesting way. Like a grey pebble with a perfect band of white quartz running around it, or a pebble with a hole through it. Sometimes I like the colour of a particular pebble, but often when it is by itself it no longer has the same brightness, for the contrast with the other pebbles has been lost. And yet, I have become aware recently of how the concept of favourites creates a duality that wasn’t there before. We are said to live in a world of duality. Dark and Light, male and female, wrong or right, loves and hates. Best friends or other friends. Favourite toys. I realised recently how I am becoming conditioned to ask M ‘which is her favourite?’ or ‘what did she like best?’ in any given situation. Questionnaires getting to know your child, or activity sheets and books have a little box to write in a single answer. It can be a way for strangers to try and understand her likes and dislikes a bit better, but I am sometimes forcing her into judging. Of creating a hierarchy. Luckily she appears not at all susceptible to judgment in this way as she rarely gives me a straight answer – and if I am attentive I can work out for myself what the important things in her life currently are. I can also ask much more open questions, and get more considered responses as a result. Yes there are times when it is important to choose only one of something, and that can be a useful skill in itself, but I have found myself going too far in the other direction and trying to narrow down every selection unnecessarily. A garden of flowers for example, and I find myself asking which I like best. Or a collage of butterflies. It is meaningless; they are all beautiful. So as we approach the equinox, I am seeking balance over when I do need to be selective, and when I should just enjoy the full diversity of this bountiful Earth. Here is my colourful selection of pebbles from the beach this summer.